Neil, I love your adolescent drunkeness story. You are such a good writer…I can picture the whole scenario. I am now also intrigued enough to try the Nin Shar perfume. Thank you for the very enjoyable read! It’s a bit embarrassing really but the smell instantly catapulted me into that memory and I felt I had to relate it. What’s your own tipple? Really enjoyed reading about your forays into drunkeness. I always was allowed wine from a young age, so I never really had one of those good falling down tipsy moments. 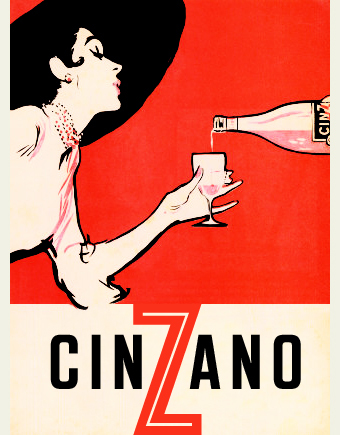 I am not too familiar with Cinzano, but any fragrance that has a boozy note to it garners my interest. Too bad I do not know of a stockist anywhere round here that carries Jules et Mad. Hopefully when I eventually make it down to NYC I will be able to try all these tempting scents. Well, yes, to a degree. But of course we have all been there, in one way or another. Neil, even though I read this originally, I re-read it and laughed at it again. I noticed I did not respond to your question of what was my preferred tipple, which I will answer now. It is red wine, but of late I have also enjoyed Campari on the rocks with a splash of orange juice. CinCin and cheers to you! I was reading an interesting article the other day about cocktail bars in Buenoe Aires. They consume the most Campari in the world. Is it not too bitter? It is not too bitter to me. Cynar is bitter and I do not care for that very much. Try Campari on the rocks with a splash of orange juice (or a slice of orange)…it adds just the right amount of sweetness. Interesting that Campari (from Italy) is most consumed in Buenos Aires. They have their own factory there ! Not at all,,, I think most of us have been there !!!! This sounds like a contender for my holy grail oriental. I love a good boozy rose perfume. I’ve been looking for the perfect warm—spicy-floral-amber perfume, I have this idea in my head of what I want it to be but nothing has really quite hit the mark yet. I recently sampled Unum Opus 1144 and I am completely obsessed with it and must have a bottle immediately if not sooner! LOVE that as you probably know.